This brass incense censer is perfect for smudging with a stay cool wood handle and footed base. 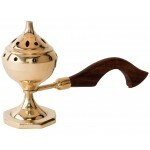 A censer incense burner shaped like a goblet with lid. 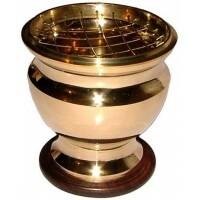 To use it, fill the bowl halfway with sand, dirt, or salt to help absorb heat from your incense. Then burn your charcoal incense or cones on top of the sand. Close the lid to let the smoke come pouring out the holes. 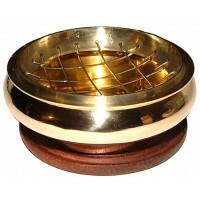 You can also use the holes to hold stick incense (place on top of a plate to catch ashes if used this way). 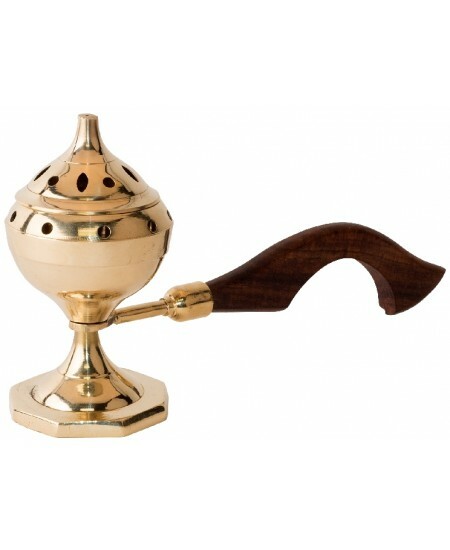 Made of brass, 5 inches tall with removable wood and brass handle. 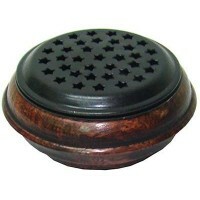 Item Number: BN-67216 | Approximate Size (Inches): 5.50 wide x 2.50 deep x 5.00 high | Approximate Shipping Weight: 0.50 lbs. 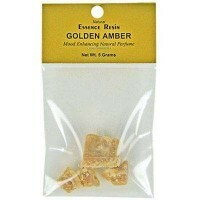 All natural Golden Amber Essence Resin is imported from India. 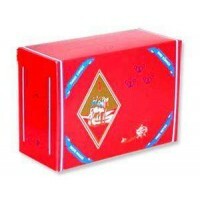 Can be used ..